Each pack is an instant collection! 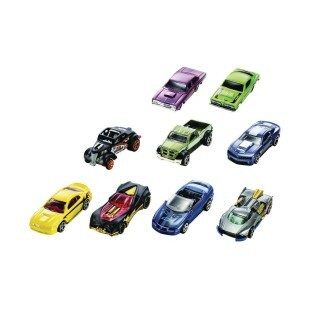 Hot Wheels 9-car packs deliver nine of the coolest 1:64 scale die-cast vehicles with exclusive decorations. Each pack is an instant collection! Not for use with some Hot Wheels sets. Window box. 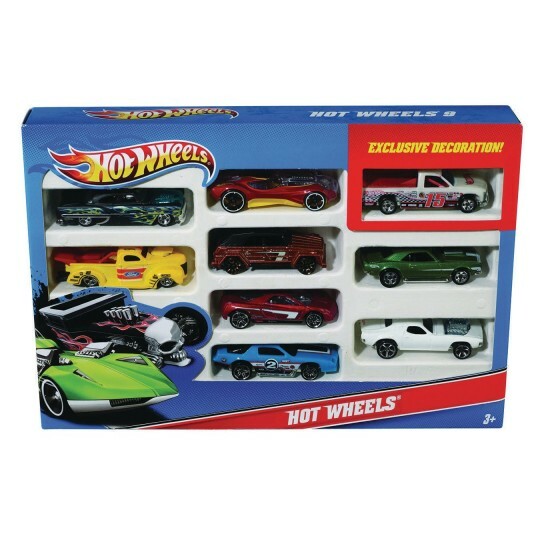 Use alone or combine with other great Hot Wheels products for all out racing run. Style of cars within the assortment may vary. For ages 3 and older.